BONUS CHRISTMAS BAKING RECIPE! Baking Christmas mince pies throughout December has been a tradition in my family for as long as I can remember. This recipe has even converted a few fruit mince pie haters! I think these are so much nicer than the Christmas mince pies you can buy at the shop, and a much more manageable size too. I usually use store-bought fruit mince though, and my favourite is definitely the Ernest Adams one (though it can be tricky to find sometimes). 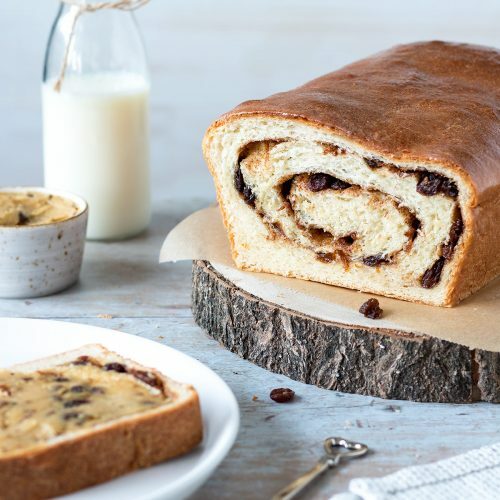 What baking traditions do you have at Christmas? Baking Christmas mince pies throughout December has been a tradition in my family for as long as I can remember. 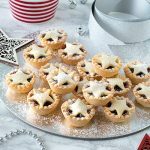 This recipe has even converted a few fruit mince pie haters! Cream butter and sugar. Beat in egg. Sift flour, cornflour and baking powder into the creamed mixture and stir until combined. Shape into a ball, wrap in cling film and chill for 30-60 minutes. Length of time chilling will depend on how hot a day it is. Preheat oven to 180ºC (360ºF) fan bake. Spray two 12-hole mini muffin tins with cooking oil spray or lightly grease with butter. Roll half of the pastry out onto a lightly floured surface to about 2mm thick. Use a cookie cutter to cut out 24 rounds and gently press into the tins (the cookie cutter I use is 5cm in diameter with a serrated edge). Fill about 3/4 full with fruit mince. Use a small star-shaped cookie cutter to cut 24 stars out of the remaining rolled out pastry and place on top of the mince pies. You can re-roll the pastry if required. Bake for 10-15 minutes, until lightly golden. Leave to cool in the tins for a few minutes, then gently ease out of the tins with a thin knife and place on a cooling rack. Wipe out the tins with a paper towel, respray with oil and prepare the rest of the mince pies using the remaining pastry. You can prepare the rounds and stars while the first batch of mince pies are cooking, if you like. 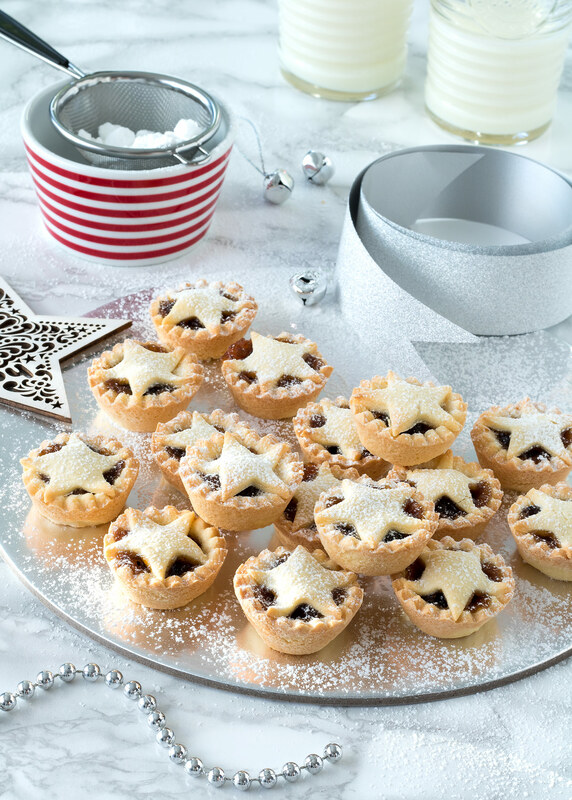 Serve mince pies warm or at room temperature, dusted with icing sugar. DRINK MATCH: Christmas tea (I like the Tea Total version) or a glass of milk. 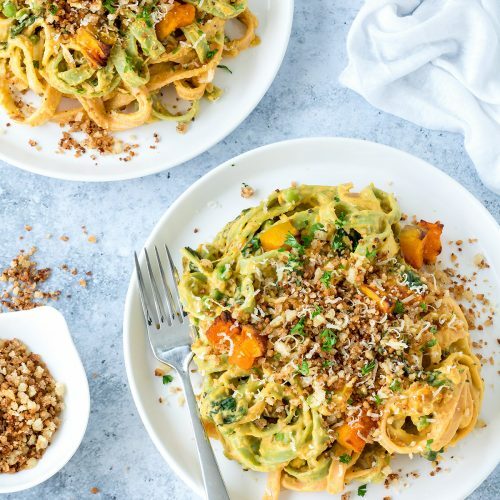 GLUTEN-FREE OPTION: This recipe works well as a gluten-free version. Replace the flour with plain gluten-free flour and ensure your cornflour and baking powder are gluten-free. INGREDIENT NOTES / SWAPS: These work nicely as jam tarts too. Replace the fruit mince with your favourite jam (choose a firmer jam rather than a runny one). STORING AND REHEATING: Store mince pies in an airtight container at room temperature. These taste best fresh but will keep for up to 4 weeks. Definitely bookmarking this for when I have more bench space! My Other Half has a great fondness for mince pies, but we’re trying to avoid plastics, and the store-bought ones are covered in many layers. Do you think I could freeze some, so they don’t get inhaled in one sitting? 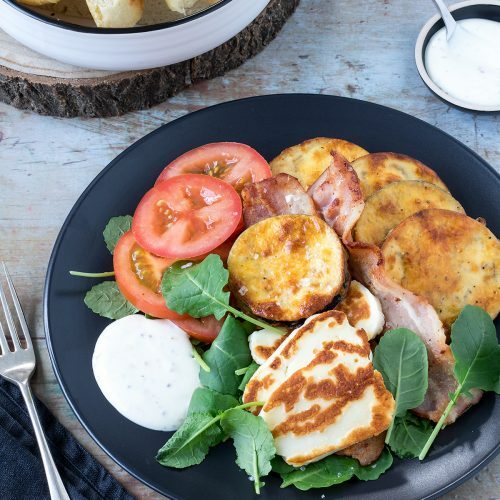 Hi Kerryn, sounds great, it’s hard to beat the homemade version too 🙂 I’ve never actually frozen these before but I don’t see why it wouldn’t work. Just make sure you package them up well in an airtight container and then reheat in the oven to freshen them up. Hope you enjoy them!